Cellular automata are a class of spatially and temporally discrete mathematical systems characterized by local interaction and synchronous dynamical evolution. Introduced by the mathematician John von Neumann in the 1950s as simple models of biological self-reproduction, they are prototypical models for complex systems and processes consisting of a large number of simple, homogeneous, locally interacting components. Cellular automata have been the focus of great attention over the years because of their ability to generate a rich spectrum of very complex patterns of behavior out of sets of relatively simple underlying rules. Moreover, they appear to capture many essential features of complex self-organizing cooperative behavior observed in real systems.This book provides a summary of the basic properties of cellular automata, and explores in depth many important cellular-automata-related research areas, including artificial life, chaos, emergence, fractals, nonlinear dynamics, and self-organization. 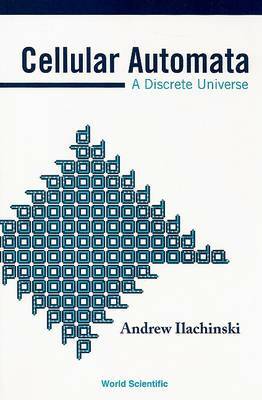 It also presents a broad review of the speculative proposition that cellular automata may eventually prove to be theoretical harbingers of a fundamentally new information-based, discrete physics. Designed to be accessible at the junior/senior undergraduate level and above, the book will be of interest to all students, researchers, and professionals wanting to learn about order, chaos, and the emergence of complexity. It contains an extensive bibliography and provides a listing of cellular automata resources available on the World Wide Web.